We are a locally owned porta potty rental company that has been servicing the Seattle area for over 10 years. Our commitment is to deliver both your portable toilet and a hassle-free experience. 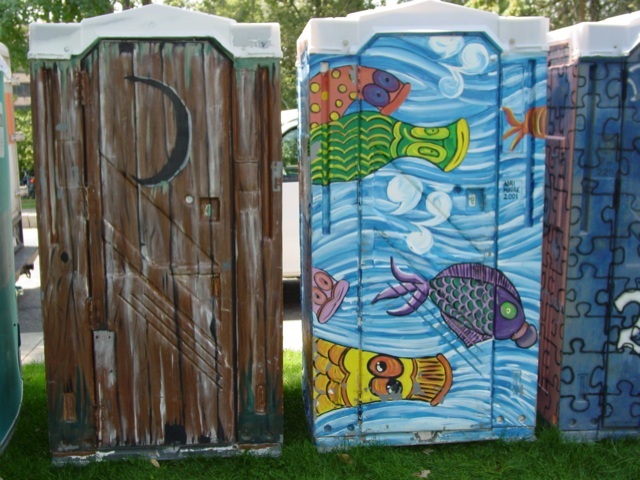 Regardless of whether you are a homeowner renting a single porta potty for remodeling project or an event planner that needs hundreds of portable toilets for an out door event, we make the same promise to you – we’ll deliver your porta potties on time, empty and sanitize them on schedule, and do it all at the best porta potty rental prices in Seattle. We provide a complete line of sanitation solutions and are ready to help with your next outdoor event, golf tournament, construction project, or real estate development undertaking. We can provide multiple types of portable toilets, washing stations, and portable showers to meet your needs anywhere in the Seattle area. We even have a little fun with our porta potties from time to time.